Why a bison? As far as I know, the Navajo haven’t got anything to do with them culturally. Great book! Hello, Brendan, and thank you! That’s a great question, and one my cover artist, Ivo Brankovikj, and I agonized over for some time. My original idea was to use elements from the Great Seal of the Navajo Nation. We included the arrowheads or “projectile points” representing the tribe’s protection within boundaries of the U.S. (the actual Seal includes 50). We also included the four sacred mountains from the Seal (Mt. Blanca [Tsisnaasjini’ – Dawn or White Shell Mt. ], Mt. Taylor [Tsoodzil – Blue Bead or Turquoise Mt. ], San Francisco Peak [Koko’oosliid – Abalone Shell Mt. ], and Mt. Hesperus [Dibé​ Nitsaa – Big Mt. Sheep]). 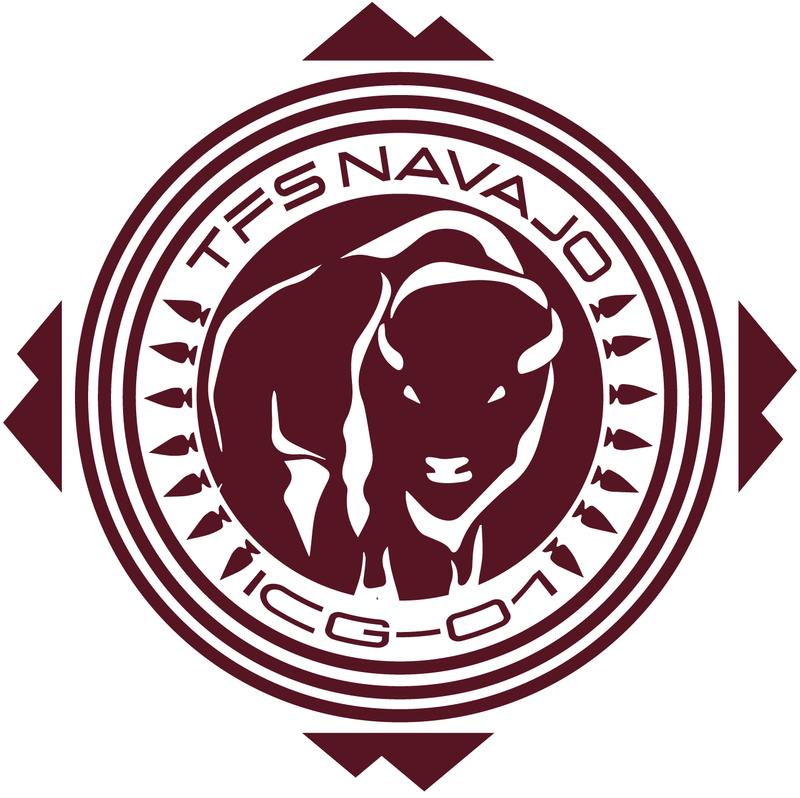 Beyond that, however, the elements on the Seal are primarily intended to show the relationship of the Navajo Nation to its current, agrarian culture. While it’s a beautiful seal that represents their people well, we were looking for an element that evoked strength and power for the ship’s logo. It turns out that the Navajo were part of a larger group of Native Americans that included the Apache. And although they ultimately settled their current homelands and became expert farmers, originally they were nomadic hunters, with the bison being one of their primary sources of food and hides. Hi, I don’t see the Kindle version yet. Any news on how long it still might take? Hello Khalid! Sorry for the slow reply. The Kindle version finally made it to the site overnight (around 2:00 AM EDT). Thanks again for keeping an eye out for it and I hope it’s your favorite of the three! Ok, not released for klndle yet but the day’s still young. Hi Vernon! Thanks very much for keeping an eye out for it. I hit the “publish” button around 1:00 EDT, so hopefully you’ll be seeing it soon. The delay seems to vary quite a bit … I guess depending on how busy they are, but who knows. I expect it will start to show up on some servers within a few hours. Hope you enjoy it!